Best of 3 - The Decider! A United Glasgow FC XI will travel to Edinburgh on Saturday 9th December to play against our friends Hotscots in the final game of our 2017 Best of 3 series for the inaugural Diversity Cup. United won the opening game of the series 3-2 on Saturday 15th April at Peffermill, Edinburgh, with goals from Mark, Chris and a debut winning goal from Jay Li secured the win! 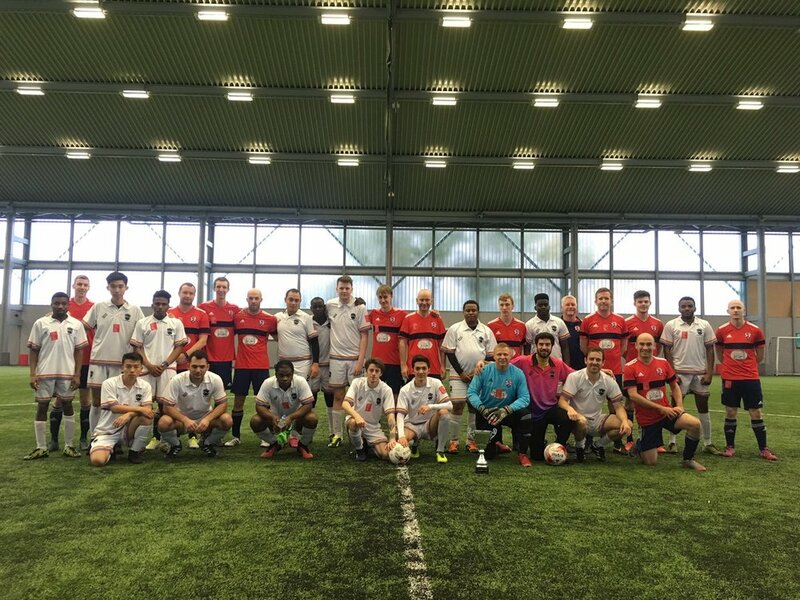 United lost the return leg at Toryglen Regional Football Centre, Glasgow, on Saturday 21st October with Taha grabbing a late goal from the penalty spot to square up the series at 4-4! In fact, United Glasgow FC and Hotscots have played each other 5 times in the past 2 years with United coming out on top as 5-1, 8-5 and 3-2 winners in February 2016, September 2016 and April 2017 with Hotscots returning the favour in their first meeting in 2015, winning 4-0, and winning the most recent game 2-1. Hotscots also trounced a, admittedly exhausted, United Glasgow 5-a-side team in the final of their Love Football tournament in February 2017 - that'll teach United for showing up with no subs! Now, it's winner takes all on Saturday with an 11am kick off at Peffermill Playing Fields. However, who wins the cup is not the only exciting aspect of the game! The game is going to be covered by YouTube channel Slash Football as part of a series of stories from grassroots football across the continent, fronted by German comedian Henning Wehn. Henning will be at the game to present the trophy and talk to some of the players and coaches, and will join the guys for a drink after the game. If you're in Edinburgh, why not come along and support United? We'll be live tweeting from the game but a supportive crowd is always appeciated!